At Tatvic, we tunnel focus on listening to what your data says about your business. Helping enterprises and SMEs to understand the complex customer journey and generate actionable insights that affect the top and bottom of your sales funnel. We help your business to get Google Analytics 360 as we stand as one of the early Google Analytics Premium Reseller and Authorized Consulting Partners. We implement, analyse, and consult Google Analytics Premium users in India and other parts of the world. Tatvic is Google Analytics 360 Certified Partner, a highly trusted Google Analytics 360 Reseller, and provide other data analytics solutions. Owing to the team’s expertise in Google Analytics and data interpretation, BookMyShow was able to put to use the funnel analysis from Google Analytics 360 so as to optimize the conversion rate on mobile site. A 55% increase in CTR was successfully achieved by enhancing the user journey and experience. Drawing insights from your data is a challenge. 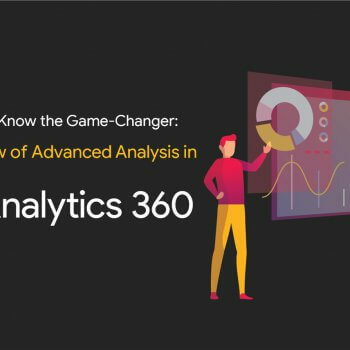 Get Google Analytics 360 with Tatvic’s pool of expertise to help you listen your data and take data-driven marketing decisions based on the information. Get actionable insights using Google Analytics 360 data to ensure a superior brand experience for your users. Know your best audiences and execute relevant marketing strategies that caters your niche audience. Tatvic’s GAIQ certified team helps you evaluate a complete user journey. 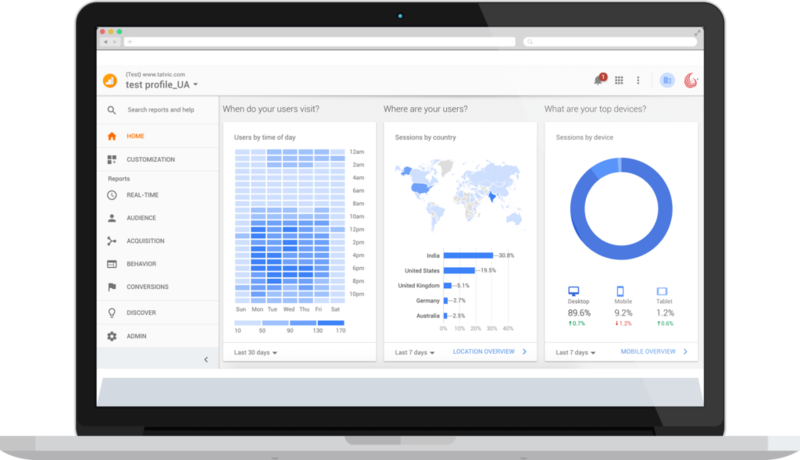 Get Google Analytics 360 with Tatvic to measure channel performance using intuitive dashboards and reports across offline and online channels. 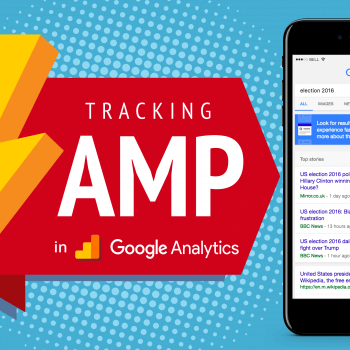 Get Google Analytics 360 to get real-time data feature giving fresh snapshots of running campaigns every 10 minutes. Such insights lets you monitor critical metrics and within minutes of any unexpected deviations. Google’s intelligence and machine learning blends with our insight gathering skills to let you pick out conversion skewed customers. 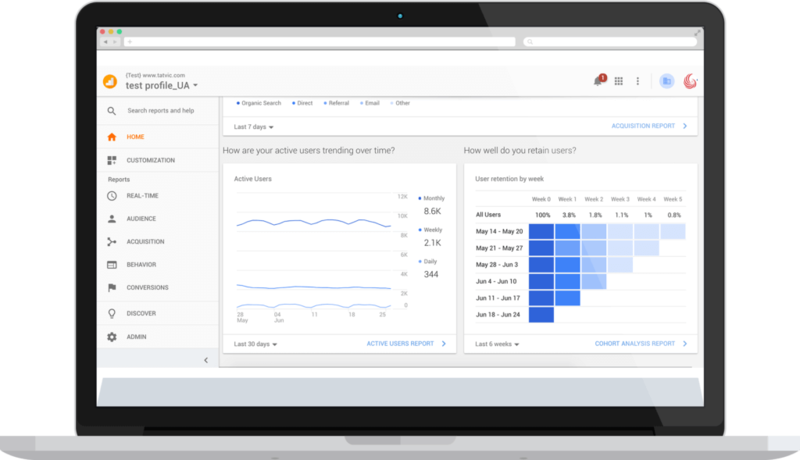 Implement data driven audience targeting for paid campaigns like AdWords PPC. Data is available to the web interface up to 12 times faster. Tatvic enables businesses by making it easier for them to take decisions based on more up-to-date reports and calculated parameters. Google Analytics 360 uses 50 times more user sessions than the Standard version. Our team of experts utilize this feature to the best of its potential and help you gain actionable insights from the sampled data. Along with the creation of 200 Custom Dimensions and Metrics, Google Analytics 360 provides us with an opportunity to build a custom funnels based on arbitrary rules to track business specific KPIs for you. You can now supplement reports with your historical data to update and refine your reports with fresh data as and when it becomes available. Estimate the contribution of each traffic source based on the impact it has on the customer’s behaviour and not only on its position. Making your data insightful is a challenge. Application of your data insights, if siloed, renders your marketing initiatives inactionable and even worse, unsuccessful To ensure that doesn’t happen, we at Tatvic Analytics have invested on a pool of expertise that helps you listen to you data and convert them into actionable insights, enabling you to direct and drive the performance your campaigns. Tell your users what they want to hear. Our consultants can help you study user behaviour and understand the level of affinity towards your communication. Ensure excellent brand experience for all your users and also know your best audience and have tailor made marketing strategies to cater to every type of audience from niche to inactive users. Get the bigger picture with Analytics 360 by evaluating the complete customer journey. In today’s on the go lifestyle, your users have multiple ways to connect with your brand. While that is a very great opportunity for your brand awareness, if not managed properly the data gets siloed and getting an accurate view of your users’ journey becomes a challenge. With Google Analytics, Tatvic enables you to get a complete picture of your users’ journey, channel performance and dashboards and reports across channels – online as well as offline. With GA 360 having rolled out the real time data feature, you can get frequent snapshots of your running campaigns and get insights to direct your campaigns in a way that yields the maximum ROI. Real time insights will help you keep a check on your critical metrics and within minutes of any unexpected deviations, it is now possible to switch back and forth. Google’s intelligence and machine learning combined with our insight gathering skills will enable you to pick out those sets of customers that highly likely to convert and exhibit a strong potential of giving your company business. Once in a pocket of high potential users, you can then target an audience on this basis for your paid campaigns like AdWords PPC and DoubleClick Bid Manager. Have your Google Analytics and Google Tag Manager Implementation assessed by Tatvic’s certified Google Analytics experts. Is your organization already using Google Analytics Standard? 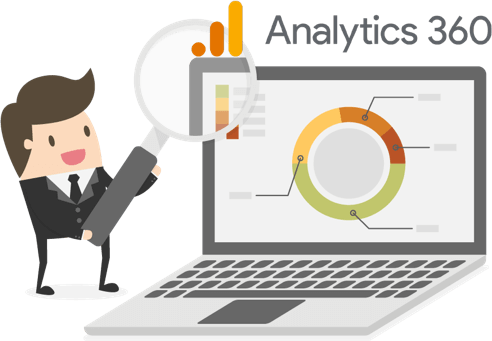 Being an authorized Google Analytics Consultants and consulting partner, we also provide an end-to-end consultation and implementation services for Google Analytics Standard users as well. With our team of data analytics consultant, you are bound to get better outcomes with stronger insights – be it Google Analytics 360 or Standard. Almost there! Please fill this form to schedule your GA & GTM Audit.